CPU Overheats on Desktop Motherboard. System turn On,but shuts down in few minutes or in few seconds.These is due to issue with CPU overheating. The system shuts down to save further damage to the board. The CPU needs certain voltages to perform.Every CPU needs different voltage as per the system motherboard. The required voltage should no exceed or decrease as per required voltages. To what voltage is required for CPU.Search on the CPU manufacturer website. For example in case of intel brand CPU.You can search the CPU details on ark.intel.com website. In case of Intel CPU go to these website and insert the CPU number mentioned on it and you will get complete detail about that particular CPU. In that details see what voltages are required by CPU. REASON 1) Faulty PWM chip. Solution 1) PWM chip drives high gate signal to high side mosfet. Due to these the Supplied VID core voltage to CPU exceeds then required voltage. For example if CPU needs 1.5 volt to operate and PWM chip is supplying more then 1.5 volt then CPU will overheat and system will shut down,when comes to certain saturation level. So test PWM channel voltages.If its found excess,then replace PWM chip. REASON 2) Faulty CPU Fan or dirty HEAT SINK. Solution 2) If CPU fan is not running at all,then try with another working CPU fan and see if its running.If the new CPU fan is also not running then its problem with CPU fan connector.You will have to jumper the +5 volts to CPU fan connector by other +5 volt port on motherboard.But CPU fan connector getting faulty is very very rare chance.Its near to nil possibility of CPU connector getting faulty.On most of cases its either faulty CPU fan or not connected properly CPU fan Connector on motherboard. But if CPU fan is running but its very slow to run,then replace CPU fan.Because CPU fan is not running properly or not running At all the CPU heats and then shuts OFF the system. On some cases the CPU fan is not the issue but problem is related to dust getting clogged and collected into rails of CPU fan Heatsink .Just clean the heat sink with soft brush and see,that will help. REASON 3) No thermal paste on CPU. Solution 3) Thermal paste is the cooling agent type paste.It never lets the chips to get overheated.Please dont exceed the thermal paste.It should be applied in limit.If you exceed the thermal paste and if the paste is having inductance,then it can short the circuit board.Just check if there is thermal paste applied properly on top side of CPU processor.Handle processor very carefully.Its costly part and also very delicate.Apply thermal paste on top of Process ,if the old paste is totally vanished or very dried.Then let the new thermal paste get dried for few minutes.Then place CPU fan assembly on CPU socket.Connect its Fan connector to board and see if CPU still overheats. Solution 4) Its very rare CPU getting faulty.But dont ignore these troubleshooting step.On some cases,when nothing is helping,then issue is with faulty CPU.Try with another spare working CPU.If the system runs with another CPU and that too without getting overheated then problem was previous old CPU. Please note:--- Any CPU will not work on Any motherboard.Every CPU and Every motherboard has its compatibility.You have to first confirm that these CPU is compatible with these motherboard.These you can confirm on CPU manufacturers site or you can get help from other hardware engineers. If you use Non-compatible CPU on your motherboard,then working CPU will not Support on your motherboard. In case of CPU overheating Problem.Once you confirm these possibilities.You will mostly trace out the problem.It can be any one of these possibility causing CPU overheating.These basics will help you. If there are any other possibility that can cause CPU overheating,then please don't hesitate to share your views here to these article.These will help others who follow these article,for troubleshooting CPU overheating problem. Mitsubishi Montero Brake and Battery Warning lights ON. Testing shows Faulty Alternator causing these problem. NOW after replacing the alternator the vehicle is not just just one click when key is turned on to start. Battery and Brake warning light ON. With new alternator vehicle just clicks and no cranking. Bad Smell or rubber or belt burning. If the alternator is aftermarket, there is a good chance it is your problem. Mitsubishi model does not get along well with aftermarket alternators as they usually last from a few days to a few months at best. That's the difference between aftermarket and genuine branded parts. Aftermarket parts are not bad parts,but there performance is weak as compared to original parts. 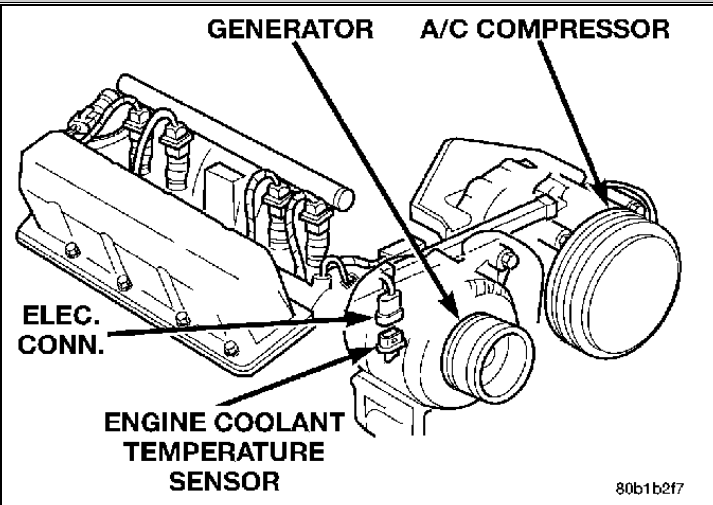 It can be related to alternator or the other thing to be concerned about is the front camshaft seal. These crankshaft seal is known to drip straight down onto the alternator, and especially in the case of aftermarket units, causing them to fail (in addition to smell) which is getting noticed. Currently with no cranking, we can probably suspect that the battery was run down from the alternator failing. Get the battery recharged or try with another working battery.OR the other option is to jump start the vehicle and see,if its running with Alternator and are the warning lights coming up on dash,which were coming up previously. As per the details mentioned,it clearly indicates that problem is related to battery getting low and loosing its charge.The battery has lost its charge.Because before replacing the Alternator the vehicle was getting started with Battery and Brake warning lights on Dash. It sounds like it could just be a case of a failed battery or even a loose connection on the battery cables (either at battery or alternator which is replaced). If the battery is severely depleted, it will run on alternator power however the charging current will cook the battery (literally) and you will get a pungent burning odor as it pushes out hydrogen. Getting both battery and alternator retested will help. The problem is related to Faulty EGR valve. First of all in such cases if your check engine light is on then there is a code that needs to be scanned,this could be related to the problem here.Anytime a check engine light comes on this means there is a problem that needs to be checked into. On most of such cases the problem is noticed due to egr valve that is partially stuck open as this will lower the idle slightly and may stall out the engine. In case of faulty egr valve the engine will idle slightly rough and possibly cause the truck to shake. On GMC sonoma egr valve,it is located just in front of your engine throttle body and right in front of the upper radiator hose where it connects to the top of your engine. 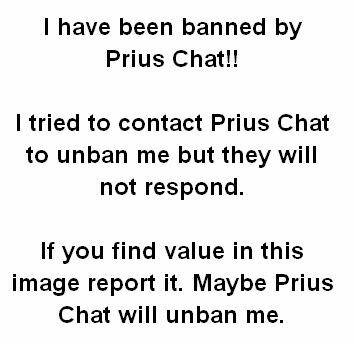 That can also cause the low idle and stall. Visually see if there is any kind of carbon build up in the throttle body bore where the throttle plate is,if you see then get the throttle system cleaned.That carbon build up can cause restricted air flow into the engine at idle and can also cause this. Now to start your problem troubleshooting,first check by removing the air intake over the top of the throttle body,then take a cloth with some carb cleaner or brake cleaner on it and wipe out the throttle bore with the throttle plate open as best a s possible.Then see if it idles normally and if the stalling is gone. If it is not then the idle air control motor and Egr valve will need tested with a tester and a scan tool,if found faulty it will need replaced. Most likely this will either be carbon build up in the throttle body,or a faulty idle air control motor or egr valve. Get these possibilities checked,these will help. Replace Oldsmobile Idle air control valve? Test Idle Air Control (IAC) Valve? Idle Air Control (IAC) Valve operation? the very first first thing to check are all the fuses. The fuses located in drivers side dash board panel. If all fuses checked ok, then the next place to check is central locking control module, it is located under the carpet on the passenger side front foot well carpet. These control module controls both central locking and windows. On many of such cases these module is known to get wet and play up. If it is wet then you have a water leak which is likely to be from around the pollen filter housing area. Stop the water to enter that module. Clean and dry up the module and see if that helps, or else the module needs to be replaced. Many a times water gets collected under front seat's and water needs to be drained and central locking module needs to be dried to confirm if its working after that. VW and Audi models seem to have a common problem of plenum chamber flooding due to bad drainage design.There was also recall released by these manufactures.It was free part replacement recall in case of such problems faced by customers. Get in contact with your vehicle dealer. Please note there is plastic box, under front passenger carpet, take out, unplug, open clean with spray,also remove dust and water from electric parts, put together,and recheck. In many such cases it helped. Central locking not working on 2000 Hyundai accent? Oil Light Reset As per Car Brands. There is a reason why these warning lights comes up on dash. These warning light indicates the driver to check the oil level in the car. If the oil level gets low,the low oil warning light comes up on dash.On some cases its faulty oil level sensor.These sensor actually detects the oil level in the reservoir and signals the system about the oil level.But sometimes even if the oil level is full the oil warning light comes up.In that cases it can be issue with oil level sensor.At that time first the sensor needs to be cleaned and then checked.Sometimes cleaning the sensor helps to clear the low oil warning light.Sometime its loose oil level sensor connector.Removing and reconnecting the connector helps. But on some cases the oil level is full and oil level sensor and its connector is good and still the warning light blinks. OR else the oil warning light will not shut off even after changing the oil. In that cases the System reset procedure has to be tried to reset the oil warning light on Dash. Every car brand its own procedure to reset these warning lights. On some car brands and model these procedure is very similar. The Oil light Reset procedure mentioned below are tried procedures at our Auto repair garage on various cars of our customers. It is also mentioned in Owners manual of the vehicle. 1. Insert the Key in the ignition then turn the key to ON position. Please Note:--- The key should be on ON position and not the Engine start position.The engine movement Should be off. 2. Once that is done,Now completely press and release the accelerator pedal slowly 3 times quickly in five seconds. Don't take more then 5 seconds and don't press more then 3 times. 3. Once you complete the second step properly,the Engine light will start flashing.If the Change Engine Oil light flashes for five seconds, the system is reset. 4. Once these reset is Done,Turn the ignition key to LOCK Position. Remove the Key Out and Wait for 2 minutes.Then Re-insert Key and Turn to Run Position and see if the Oil Warning Light is Off or its still Flashing. If the change engine oil light comes back on when you start your vehicle, the engine oil life system has not reset. Repeat the procedure. If it still does not reset, then its confirm problem with Oil System parts.Its oil level sensor or its connector,or wrong oil used or issue with oil pump or oil filter. All these basic components needs to be checked,tested and inspected to confirm the Fault. On some Chevy Car models there is a small Push button Near Steering Wheel or near Dashboard Panel.That Push button has Small oil/gas logo on it.Once the oil is changed,the Oil light should reset.But if the oil Light is not getting OFF then press these small button for 5 to 10 seconds.The Oil light will reset and warning Light will turn OFF. If on your car model,there is such push button with Oil/Gas Logo on it,then try pressing it to reset the oil warning Light. Please Avoid Pressing these push button with Oil level Low or very Less. If the System gets reset with very low oil and you continue driving with less oil in the reservoir then major engine related issues can occur. On ford vehicles there is a "Trip /Reset" button. Once these "Trip/Reset" Button is pressed the System will Enter the Menu.Here you get a option to select.You have to press Forward arrow button and Select " Setup Menu Hold Reset" option. Once these option is displayed on your Display screen.Then just press the "Trip/Reset" button Again for 2 to 3 seconds.Once you do these,another message will be displayed on the screen." Reset For System Check". Once you see these message displayed,release the Trip/Reset Button and Again Press it quickly. Now these time the screen will display "100% oil reset" message on screen. So then release the " Trip /Reset" button now. Please Note:--- If you don't fill/change oil and just press these Trip/Reset button to reset oil warning light,then many a times system gets corrupted and major problems occurs.So when low oil warning appears on screen.Just change the oil and then try these procedure to reset Engine oil change warning Light. On some car models there is a Button on Dash board.The Button will have Icon " I" or it will mentioned " ROAD" on the button.It can be either " I" or "ROAD" not both. Once you see the button.Turn the car ON.Then just press these button once,twice,thrice till you see oil life reset option on display. Once you see Oil Life reset on Display.Press the "I" or "ROAD" button firmly, till the oil system gets reset.It will hardly take 10 to 15 seconds to get reset. Once the oil light is RESET it will turn OFF. So you release all buttons. Turn the key to off and Turn it ON. On Toyota Prius its same as Ford Explorer and other Ford Vehicles. There is a "Trip" Button on Dashboard.Just insert the key,and turn it to ON position.Then press the Trip button.Once,twice,thrice till you see "TRIP A" indicated on display panel. Once the " TRIP A" is displayed then push the "PARK" button. After that Press the "POWER OFF" button - Once you push the power off the car will completely turn OFF. After that without wasting time Press the "MPH/KM"( Mileage Per Hour/Kilometer) button on the dashboard. Press and hold down this "MPH/KM" button and with keeping these button pressed restart the car by pushing the power on button. Now Don't release these both buttons till the oil light gets reset. It will take 10 to 15 secs to get reset. Once the Oil light is reset,it will turn OFF.So then you can release Both these buttons. These Basic details will help. The engine starts fine but runs rough. Inspect the fuel which is inside.If its dirty or wrong fuel filled the problem of vehicle running rough can occur. Also get the fuel pressure checked.If the pressure is low then required,then vehicle will run rough. If the pressure is low,then problem relates to faulty fuel pump and clogged fuel filter.Inspect and replace both,if checked out faulty or very old. At our repair garage,one customer with same problem of engine running rough,the issue was with the fuel is backing up into your emissions canister causing a rich condition due to too much fuel and trying to flood the engine. Try not topping off the tank when filling and try filling the gas at a slower rate. If these don't work have the emission system checked for clogged tubes, clogged charcoal canister or a bad vent control valve. You will need a scanner for this or have a dealer or repair shop scan it for you. On some cases engine light keeps coming on and the car bogs down and runs rough. On that cases the vehicle engine module needs to be scanned,to retrieve the error codes stored in it. Also on cases the problem is related to low compression on engine cylinders. So in that case the low compression cylinder needs to be replaced. But if compression checked ok,or before directly replacing the faulty low compression cylinder I recommend to inspect valve.On some of such cases the problem was a bad valve causing the problem. There is a simple test to determine if it is a valve or not. Take a cap full of motor oil and put it into the cylinder, then retest compression. IF the compression is higher, then the problem is with the rings, if it stays the same, then it is a valve issue. This is a effective test to determine which way to go on the car. Then check the timing belt to make sure the timing marks still line up and not got misaligned. Other then that check the throttle position sensor (tps). You can easily test the TPS. For that unplug the tps and with a volt meter set to ohms check the resistance between the top and middle terminal. The reading should be 1.6-2.4 ohms with the throttle closed. If in case the timing marks are not aligned right,then to realign the timing marks. You should never turn the cam, you should always turn the engine at the crank shaft. Please note to align timing marks the Intake and Exhaust cams both have to line up with the two nibs at the top, and the dowel pin on the crankshaft must line up with the pointer above the crankshaft gear. AT out garage we received same problem,with one of the client.He towed the vehicle to our garage and these is what we did,. It was timing marks misaligned. At our auto repair garage store we opened up the timing cover and found that the rear cam was off by one tooth in the counterclockwise direction and that the forward cam was off by two teeth in the clockwise direction. 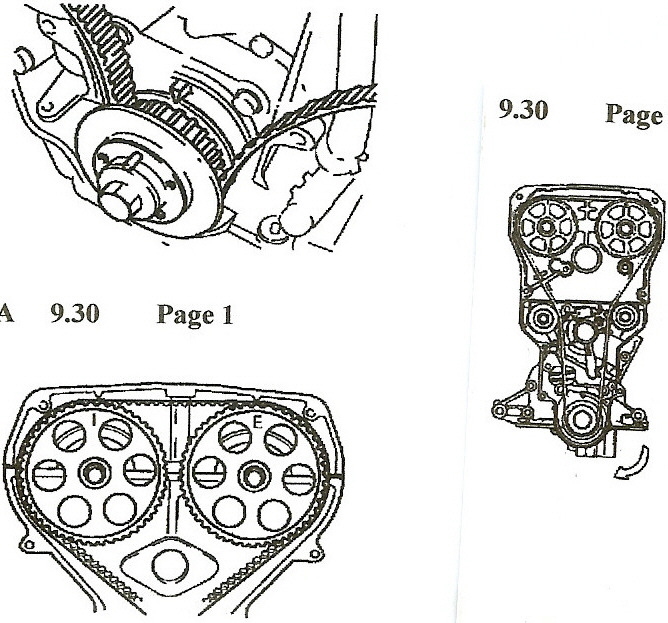 Always keep the appropriate diagrams handy,these let you know how exactly the timing belt has to be set. Correcting the situation may be very tricky if you are newbie or doing it first time.But patience is the key, don't panic and go step by step further very gently. It will take you about 3 to 4 attempts before you can finally understand the simple method to do so. Keep basic auto repair tools handy.You will need to use a ratchet on the cam sprocket bolts to position them and keep them from moving .Always do these task with someone there to help you,to hold the tools or to engage the timing belt with the sprocket teeth. Once these is done now you can start by seating the timing belt on the crankshaft sprocket and using it to line up the marks. Once these is done then proceed to the rear cam, then the forward cam, and finally installed the tension pulley on the forward side of the engine. Once these all procedure is done.Now see carefully near you,that nothing is got left out.Close the cover and now test your work,which you have performed.In our garage repair case the vehicle runs like new and customer was very happy. 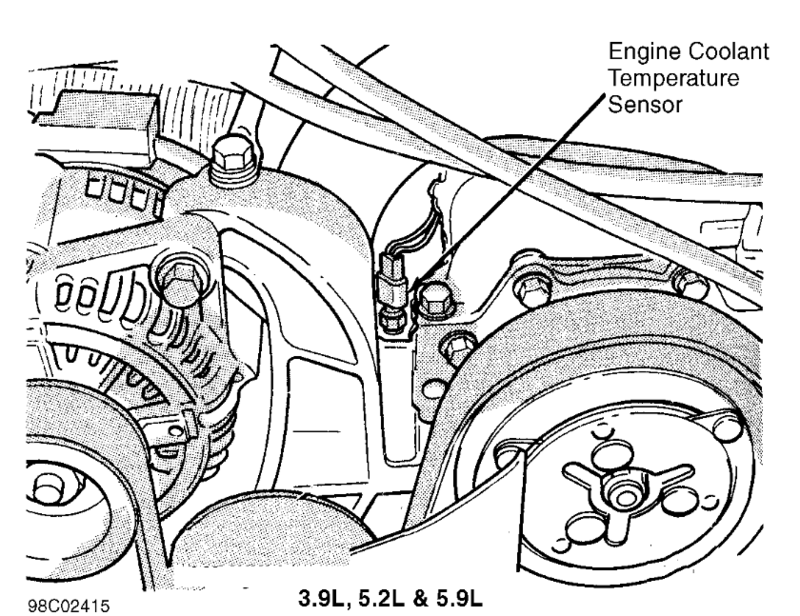 2002 Lexus RX300: Should i Replace Timing belt?